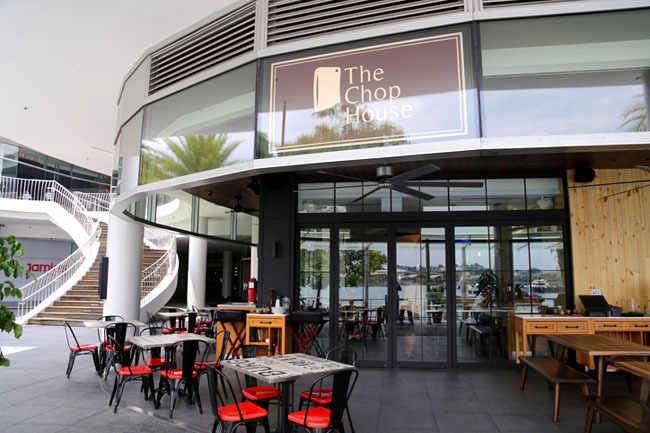 With a menu of steaks, burgers and pastas, The Chop House took a prominent spot at Vivocity, right beside their competitor Jamie’s Italian. 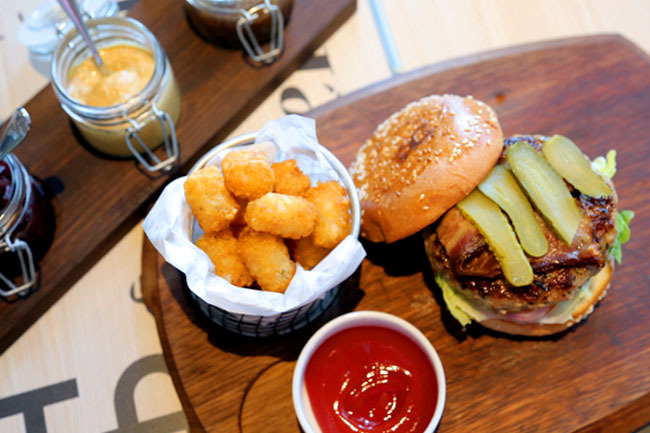 They both have a similar menu of Western favourites and casual gastro vibes with outdoor seating available. 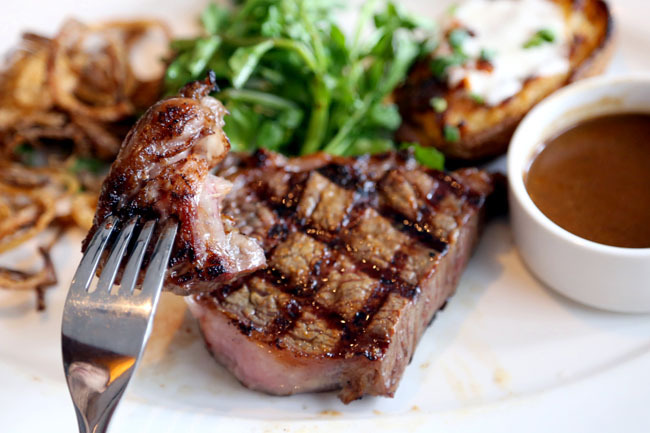 The Chop House people are more than confident, having met success with Wooloomooloo Steakhouse at Raffles City. The group even decided to set up Chop House first in Singapore, months before its home city in Hong Kong. Perhaps because it is new, I wished the selection of starters was bigger. 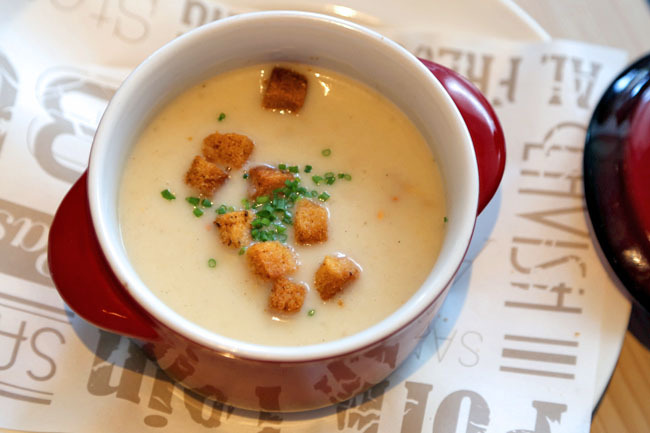 There were just two soups to choose from – a Pumpkin Soup ($9) or Mussel Soup ($10). The mussel soup cooked in rock fish stock and cream though had appropriate consistency and thickness, and would make a contenting dish to share with a friend. While the menu seemed scaled down and did not have as many standout dishes as Wooloomooloo (still craving for the beef wellington there), there were some favourites. 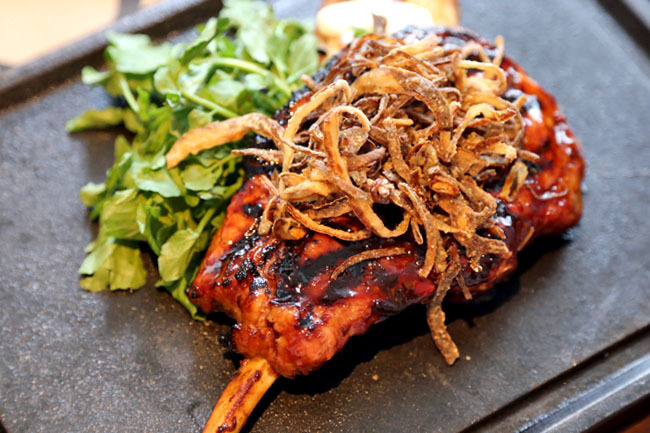 The Berkshire Pork Chop ($32) prepared with a Mongolian glaze of hoisin and black bean chilli sauce could remind you of a thick slab of Western style ‘char siew’ with its sweet savoury taste. I find it terribly hard to find good pork chops in Singapore as they are usually tough. Chop House’s pork chop of generous portion did not disappoint in terms of tenderness and taste. The Asian flavour is appropriate for The Chop House. The group did after all originate from Hong Kong. 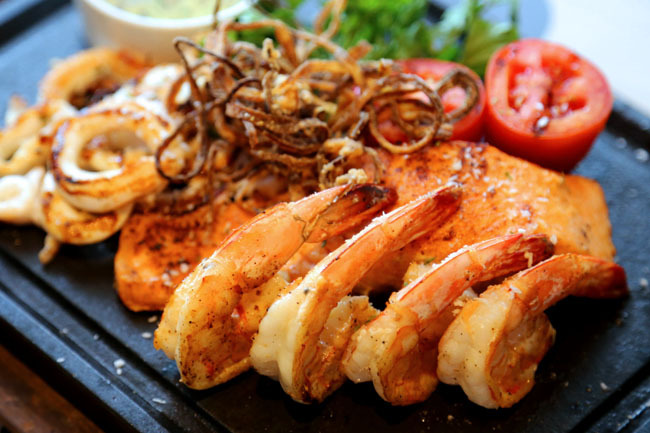 My favourite dish was the Mixed Seafood Platter ($42 serves two), filled with 4 fresh plump prawns, calamari and perfectly-grilled salmon served on hot cast iron. I am not usually a fan of salmon, but this piece had the suitable thickness and tasted healthy yet full-flavoured. My only wish that portions were larger for its price. 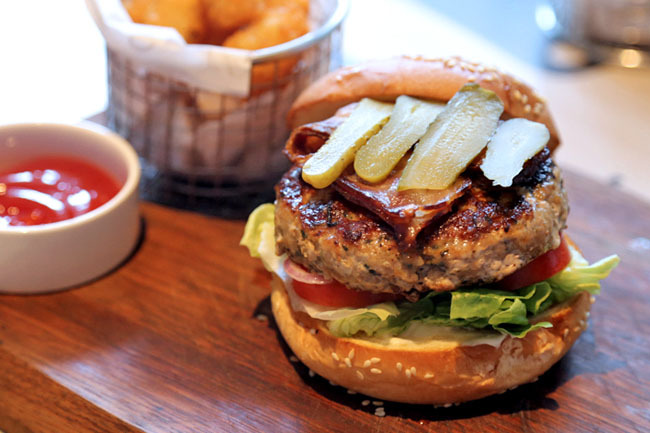 There are the usual crowd-pleasers to go with the cold beers (Chop House also has a no fuss SelfTap station suitable for would-be regulars), such as the thick minced pork patty Pork Burger ($22) and 200g USDA Prime Ribeye ($36). The homemade condiments of Beetroot Chutney, Chilli Mustard and Onion Jam make the meal more exciting, and I did have a better burger here than next door. The Chop House has a casual inviting vibe, with enough space to house 170. Food was competent, could easily give their neighbours a run of their money, but could throw in more surprises given the competition all around.